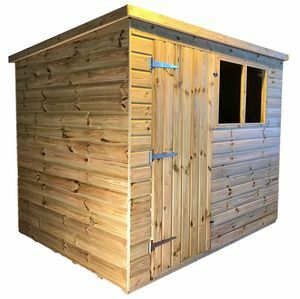 The Titan 2 Tanalised Pent shed is a solid full shiplap tongue and groove storage shed designed specifically to be strong and durable whilst maximising storage area and a comfortable workspace. The traditional design and soft green shade contributes to an organic, natural look for your garden. Upgrade your garden with an Atlas Titan 2 Tanalised Pent garden shed. 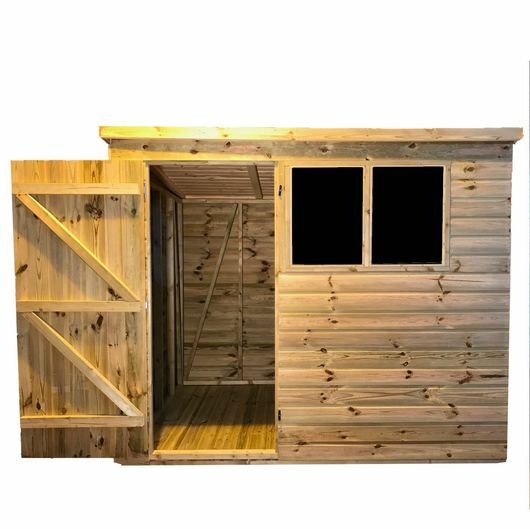 As attractive as it is strong, the Atlas Titan 2 Tanalised Pent shed will compliment any well tendered garden. 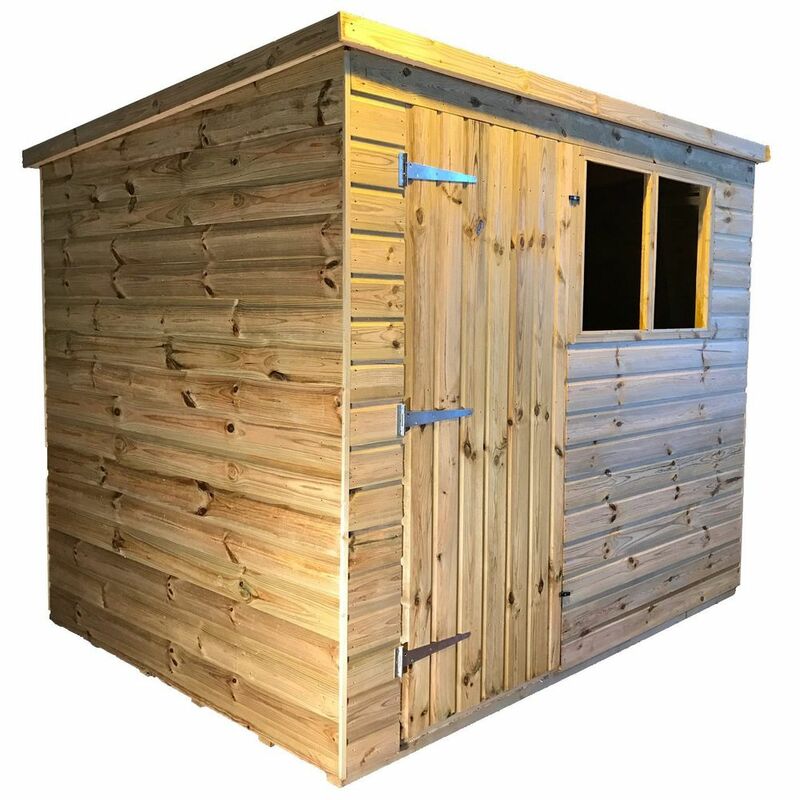 This product is a superb low maintenance building with supper strong heavy duty angle braced framing providing fantastic strength and giving an incredibly rigid structure for secure storage. The extra headroom makes it a hit with graders and DIY enthusiasts. A fully framed roof and heavy duty green mineral polyester backed roof felt contribute to to the strength and durability. The most significant feature of the Atlas Titan 2 Tanalised Pent shed is the pressurised timber treatment guaranteeing years of anti rot and preferation protection. 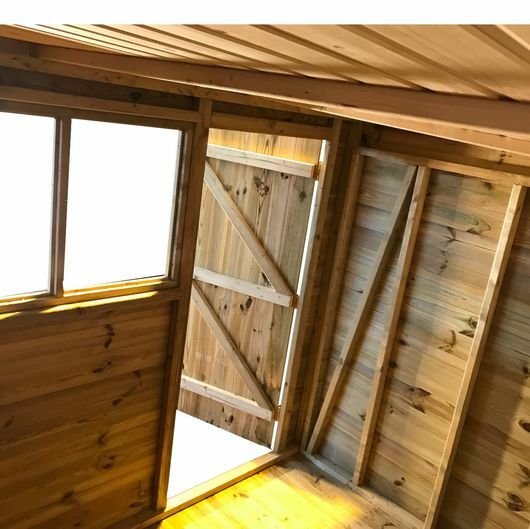 The pressure treatment gives a soft green shade finish to the shed contributing to a natural organic look to your garden. No questions yet. Have a question to ask? Ask our team! Download our full brochure for all the information on our product range.